Mike Amidei came by his passion for the world of beverages honestly. Mike’s father (a life long lover of all things food & beverage) bought a bottle of each of the Bordeaux First Growth wines for the year Mike was born and on his 21st birthday the family opened, and shared, a bottle of Chateau Lafite Rothschild. From there, he was hooked. Mike received his BS from Florida International University in Hotel & Restaurant Management and has held nearly every position on offer in that field from busboy to line cook to hotel management. Mike has been passionate about beer, and all of it’s distinct styles & flavors for longer than he’d care publish. He is currently the Beverage Manager at Tørst / Luksus, the global beer destination and Michelin-starred Restaurant in Greenpoint, Brooklyn, where he is responsible for curating the 21 rotating draft lines and an extensive bottle menu of around around 200 beers. Jopen is a beer brand from Haarlem, Netherlands. Jopen beer is a result of the work of Stichting Haarlems Biergenootschap, which was founded in 1992. The mission of the Biergenootschap is to re-create traditional Haarlem beers and bring them to the commercial market. Two recipes were found in the Haarlem city archives that were used as a foundation for 2 initial beers. The first one was a recipe from 1407 and the recreation of this was named Koyt. In December 1996 the commercial company Jopen BV acquired the beer. The name Jopen refers to the 112 litre beer barrels that were used in early times to transport the Haarlem beer. Until the end of 1996 Jopen beer was brewed in the Halve Maan brewery in Hulst, after that it was made in the La Trappe brewery in Berkel-Enschot. 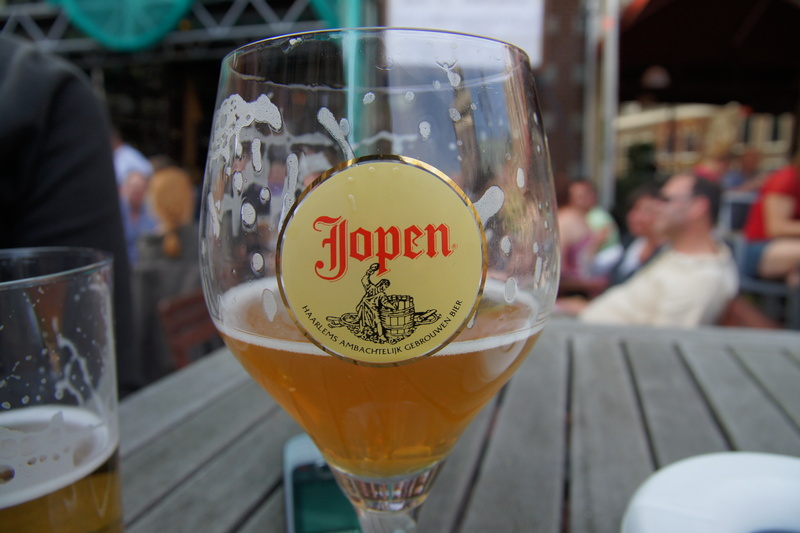 Since 2001 the Jopen beer brands were brewed in Ertvelde, Belgium, in brewery Van Steenberge. The current brewer is Chris Wisse. At the end of 2005 it was announced that the old Jacobskerk, in the Raaks area in the city centre of Haarlem, would be transformed into a brewery. In November 11, 2010, the “Jopenkerk” (Jopen church) opened its doors for the public. This former church is not only the home of the Jopen brewery but also hosts a café and restaurant. Anne Becerra – winter co-host, bartender, etc. Anne Becerra is still shocked that she’s been able to turn her love for craft beer into a career. She was the first female Certified Cicerone in New York City and has been at the helm of some of the best craft beer bars in Manhattan for the last seven years, most recently at The Blind Tiger, The Ginger Man and as Beer Director for Taproom 307. Anne is a beer writer for Serious Eats and Martha Stewart Living, and has been featured multiple times on NBC, Fox and Friends and CNN as well as contributed to TIME Magazine, Cosmopolitan, Wall Street Journal, Sirius XM, USA Today and more. She was the only speaker at both Tales of the Cocktail in New Orleans and the Women’s Chef and Restaurateur Conference in NYC to represent the beer industry, and believes the best part about craft beer is sharing it. You can catch her teaching classes, judging beer competitions, hosting beer dinners and weekly tasting events, and curating beer pairings throughout the tri-state area.